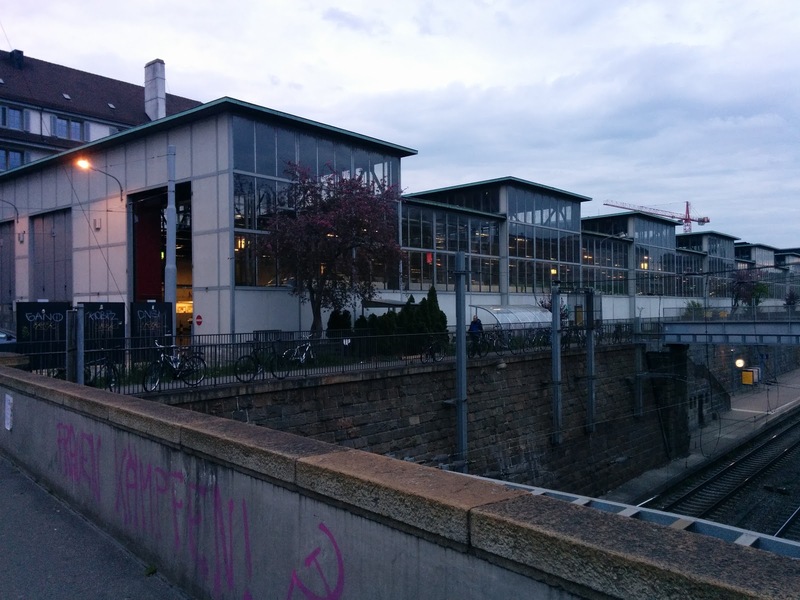 Tonight I wandered by the tram depot at Bahnhof Wiedikon. 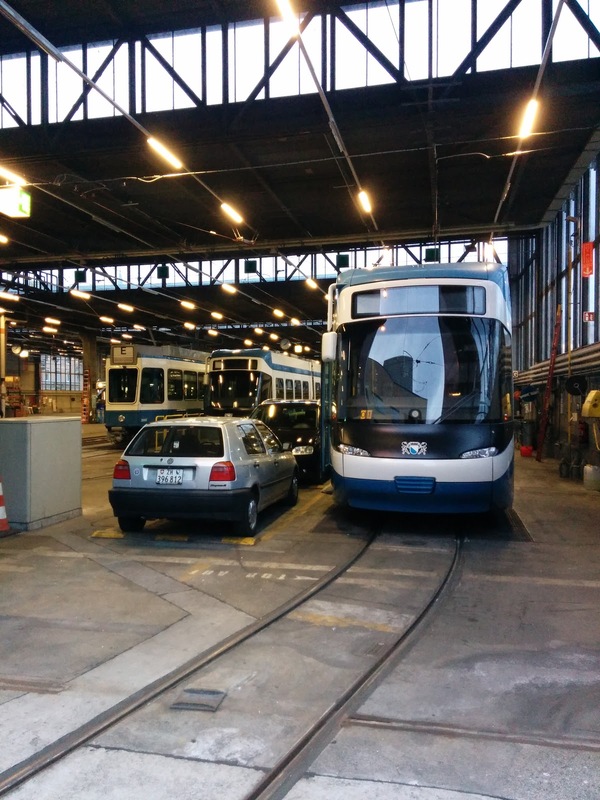 It's Saturday evening, and apparently many trams are out on the tracks ferrying people around Zurich. Speaking of parked cars. 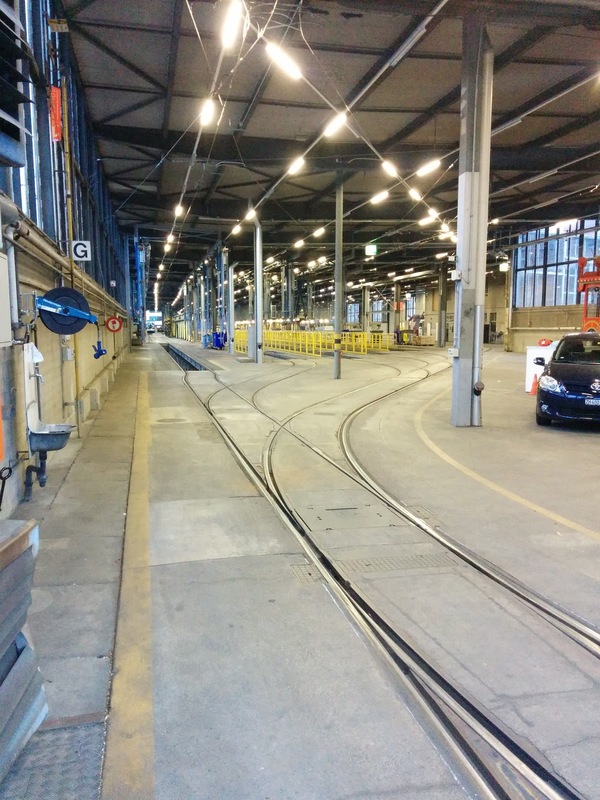 I guess these belong to tram drivers? 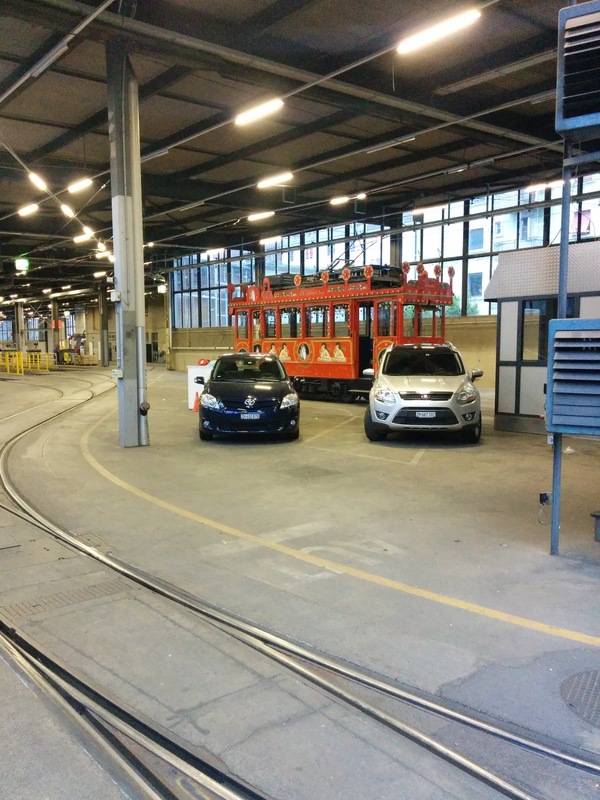 Who else would leave their cars between parked trams? The Märlitram is a special Christmas tram in Zurich only for children. Driven around town by Santa Claus and accompanied by two angels telling Christmas stories. Thank you for the explanation, Theodore!